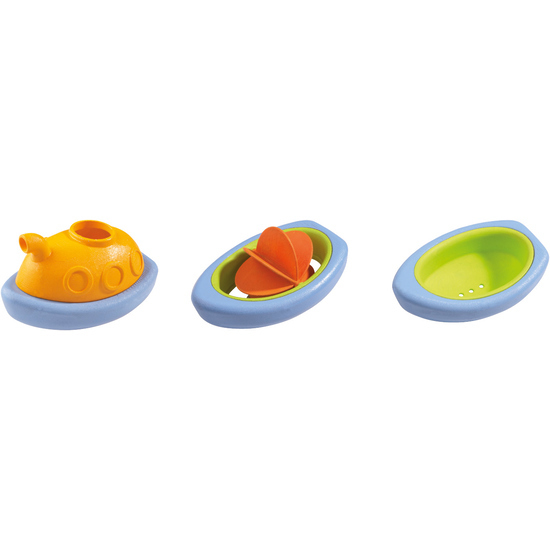 This set makes swimming even more fun; pushing the paddle steamer along, the paddle wheel goes into motion. Of course the paddle wheel also turns quickly when water from the submarine is poured over it. Fantastic, the rubber dinghy has holes! When lifted you can watch how the water comes trickling out drop by drop! Contents: 3 different water boats.